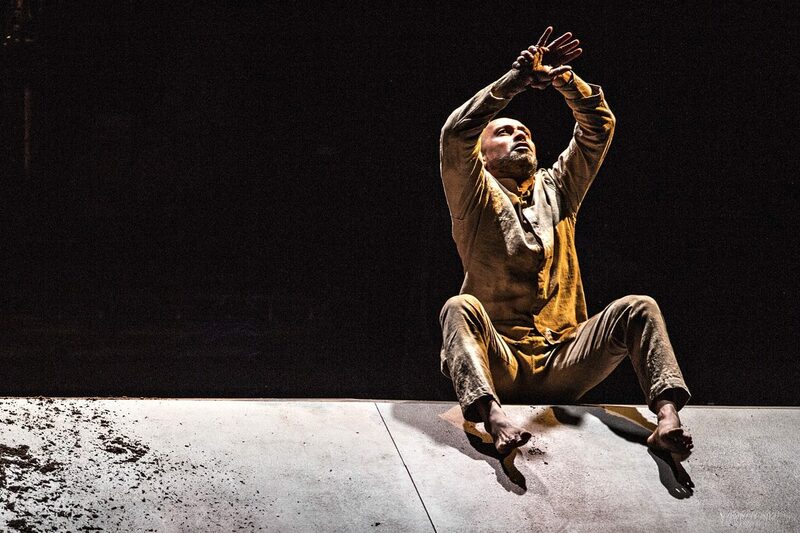 An achingly profound and lasting poignancy: Akram Khan’s last solo show is a moving exploration of WWI. Xenos, Sadler’s Wells. Photo: Jean-Louis Fernandez. Once in a while, there comes a work that really moves you. Xenos, the new full-length solo from Akram Khan, may be set within the context of the First World War, but in its emotion and its humanity it transcends time and place. That connection with the present holds something truly profound. Xenos marks some of Khan’s last performances as a dancer and for this work he has chosen to draw attention to the colonial soldiers of WWI. More than a million Indian soldiers fought for the British Empire, a fact that is not widely recognised or known. “Do not think that this is war – it is the end of the world,” whispers a voiceover. It’s a phrase that would no doubt ring true for those who experienced its atrocities. For an Indian soldier, who would return home to a country striving for its independence from British rule, the experience was perhaps even more alienating. Through a combination of classical Kathak and contemporary dance Khan places himself in the midst of these two worlds, as an Indian dancer turned colonial soldier. The precise, studied movements of an opening Kathak solo soon gain speed and spiral out of control as his world is literally pulled away. Ropes, spread across the stage, wrap like snakes around the homely objects that surround Khan and drag them out of sight, up and over the imposing slope of Mirella Weingarten’s set design. Left alone, a dream-like work unfolds. One image slips into another, as if Khan is recalling snatches of scattered emotions and memories. There’s a distinct sense of displacement, of one man’s struggle to keep a grasp on his sense of self within an alien world. It’s an impression aided by a contemporary style that builds upon the spiralling, gestural actions of Kathak. It is movement filled with distress and frustration, the whirling motions suggestive of an inner turmoil, but often Khan’s approach appears as much cathartic as it does aggressive. While physically strenuous, an aesthetic controlled by the sloping set Khan must repeatedly clamber across, the movement never feels forced. Instead, it evolves as a natural reaction to the environment of Weingarten’s design. In this masterfully staged work, each element is responsive to another. A deluge of soil that pours down the slope provides an immediate visual and physical immersion into the dirt and hardship of war, while a gramophone, an object that appears as displaced as Khan himself, crackles forth the names of Indian soldiers who lost their lives. Later its mouth becomes a searchlight, piercing the darkness of the auditorium. Combined with Weingarten’s intuitive set design and the absorbing, emotive music, performed live by five superb musicians, Xenos rarely feels like a solo work. Together, its various elements present a powerful visual and emotional portrayal of trauma. Weingarten’s design in particular offers a striking visual expression of one man’s loneliness and confusion among the grubby, laborious existence of trench warfare. A powerful and yet gentle work, Xenos encapsulates a range of emotions that are not bound by the context of war. To see one man’s confused battle as he navigates a world that is falling apart around him, offers something more relatable and affecting than the incomprehensible horror and drudgery of WWI. The ultimate loss portrayed here is that of one’s self – and that image of human frailty lends Xenos an achingly profound and lasting poignancy. Xenos is at Sadler’s Wells until June 9th. For more details, click here.